Attempting to rationalize the text and try to figure out what was going through the mind of the copy writer would really take away from the bizarre humor of the label. I would venture a guess that this product was originally made in the PRC to be sold in Japan. 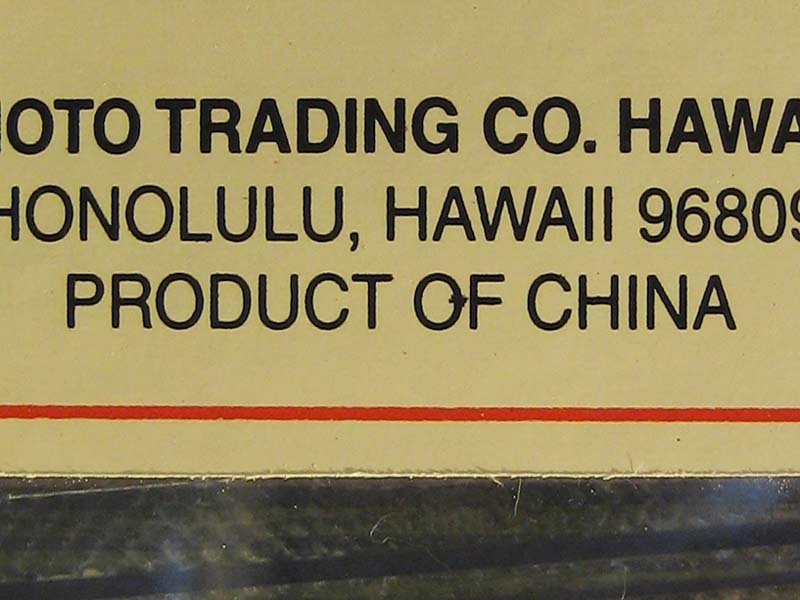 The US distributor who is probably loosely associated with the Japanese distributor probably approached the PRC factory to produce the same product for the USDM with an English label. 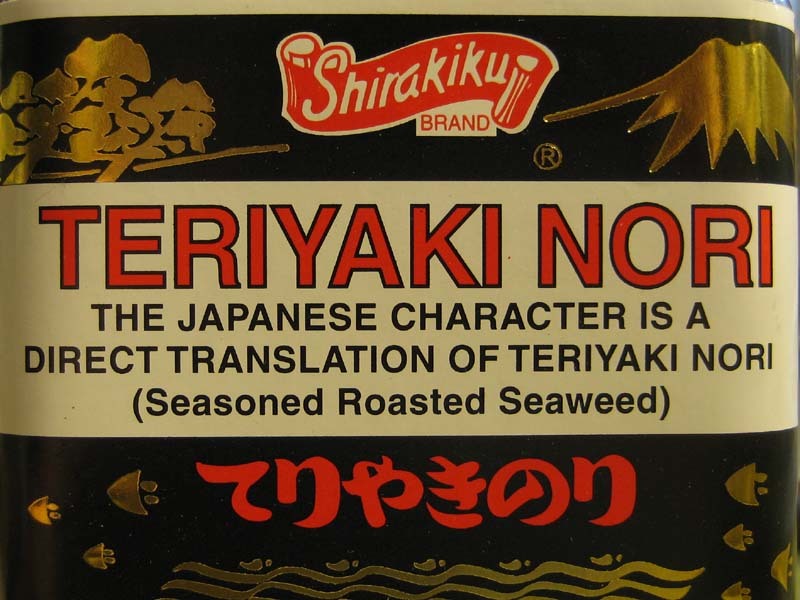 Someone at the US distributor told the PRC manufacturer, “just put English where the kanji on the label is,” and instead of just Romanization, they got exposition. When Land Crusiers don’t get enough fiber in their diet, they crap out Mini Coopers. I got home early on Wednesday, so I spun through the training loop. After being stuck late at work for a bunch of days bracketing the weekend, it was very nice to finally get out and ride. The upper section of the course is lined with mango trees, so I had to slalom through the smashed mangoes on the road and avoid the bombardment of falling mangoes from above. I could see the hint of white flowers on the albizia trees infesting the area along the H3 service road. In addition to the usual walkers and runners, there was a pair of other cyclists out riding. At the end of the ride, it wasn’t my legs that were tired, but my arms from stand climbing in the drops. 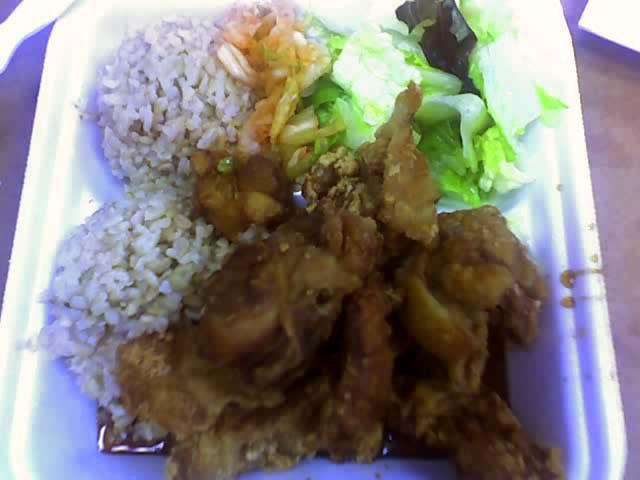 If you’ve experienced Korean-style fried chicken, Mochiko chicken, Garlic chicken, or any of the various and sundry spin-offs of the theme, then the version they make at Cooke Street Diner will probably surprise you. The serving is predominantly meat, and the amount on skin and fat is minimal. There is enough skin represented so you get a nice crispy crunch once in a while, but it isn’t all skin like at some other places. The chicken was cooked just about right, so it was still moist and soft on the inside. A couple of the smaller pieces were on the dry side though – that counted for a half-point deduction on the rating. The sauce is moderately thick and actually has a bit of a spicy burn that comes through the sweetness. As in the past, I ordered it with brown rice and a tossed salad with a creamy dressing. $6.23 USD including tax. Three grinning monkeys out of four. Holy cow, took autopartswarehouse.com 40 plus days to send me an RMA for part I received. Initial order was quick & prices good. Dunno if their emails got lost in the net ether, but this took forever I almost forgot about it. If you were stuck at the H1/H2 merge townbound this morning, whatever happened involved an upside-down 1G white Toyota Matrix XR and a dislodged light pole that looked like an unbent paper clip. Published on June 25, 2008 in rant by derek. Closed Tags: FTP. Dammit, since I was working on all this site re-organizasion, I completely forgot to Fight The Power and take the time to remember Mr Chin, on June 23. Another nice weekend. Sunday afternoon Dave, Jeff, Sarah, and I meet at Waimanalo for the Ditch Trail. There’d been some spotty rains through the week, but nothing too heavy. There’s a Jeep Wangler and Ford Explorer with Speedgoat.com sticker, looks like there’s some riders in the trails. We gear up and grind up the Government road. Trail is nice. Also some fresh horse dumplings. Following the route we’ve been using lately, we pass Maunawili Ditch and head up to the loop. It’s feels nice to hit the loop when fresh. Dave rides past the mango drop-in to explore and perhaps find the source of last rides archeology finds. As the rest of us wait at the mango tree, a bunch of guys come down the Government Road. Probably the guys in the Jeep and Ford, look like maybe military guys so it fits the image. Dave’s been gone a while, Jeff comes down and drops into Mango. Aparently Dave dropped in higher up, so we take the mango drop-in and hit the loop trail. 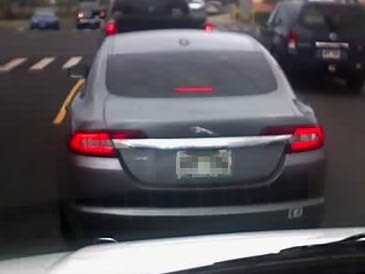 I was sitting in back of a new Jaguar XF the other day in Kalihi of all places. I immediately noticed that the shiny boot (trunk) lid was offset and skewed in the opening – to be precise, the gap between left and right was unequal, and the right side of the lid sat 3-4mm above the adjacent fender. This vehicle definitely wouldn’t pass the ‘ball bearing test” from the 1980’s Nissan/Datsun TV commercials. Pretty slick looking car though. Too bad the coachbuilding workmanship is so poor. Looks like it probably costs all the money and gets terrible fuel mileage.